NEVER LEAVE A LIT CANDLE UNATTENDED! 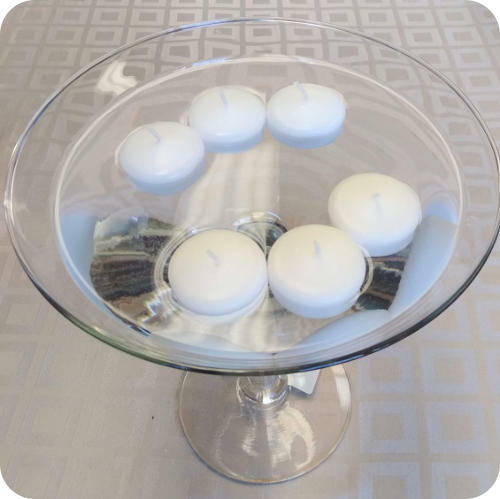 ALWAYS PLACE LIT CANDLES ON A CANDLE PLATE OR IN A HOLDER. KEEP WICK TRIMMED TO 1/4". NEVER USE WATER ON A WAX FIRE - SMOTHER OR USE A CHEMICAL FIRE EXTINGUISHER ONLY. Note: All Burning Times are approximate. All candles on this page are made from paraffin wax. Unless noted, all candles on this page are made in China. Due to customs regulations and anti-dumping duties we do not ship Chinese made candles outside of Canada. White Unscented Votives. 1.5” dia x 1.5” tall. Packages of 8. Must burn inside a container. 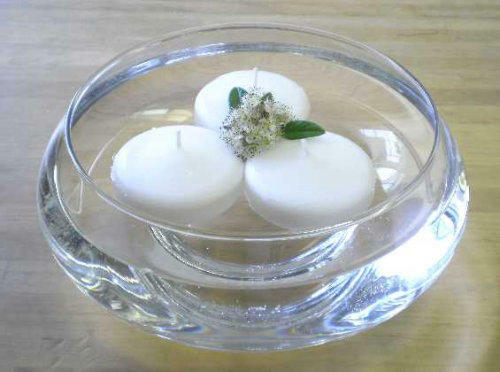 White Unscented Votives. 1.75”dia x 2” tall. Must burn inside a container. 24hr Votives in Clear Cups. White & Unscented. Polycarbonate cups 2"dia x 2.5" tall. 10" Taper Candles - WOW! Don't Miss On This Deal! Plastic cup with handle holds candles up to 1/2” diameter (thin tapers). Popular for Weddings, Baptisms and other special occasions. 10” incense sticks. High quality, 20pcs per package. 5” incense sticks, White Orchid fragrance, 30pcs per package. 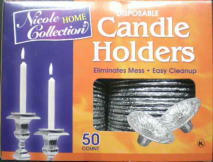 Disposable aluminum foil candle wax drip protector for candle holders. 50pcs per box. Don't get caught in the dark, perfect to keep on hand in case of Power Outages! 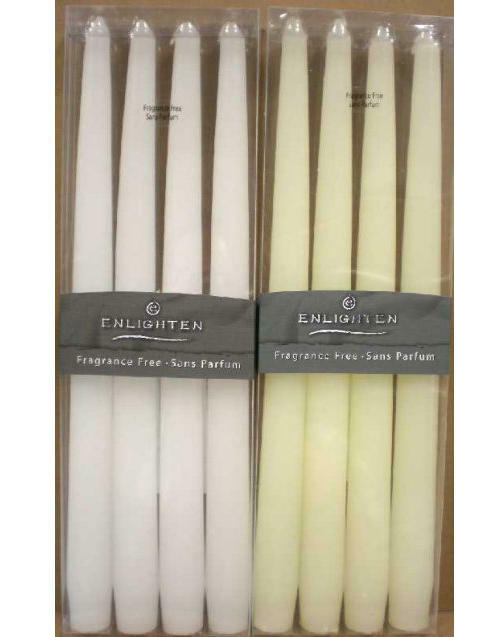 Each package contains 5 candles. 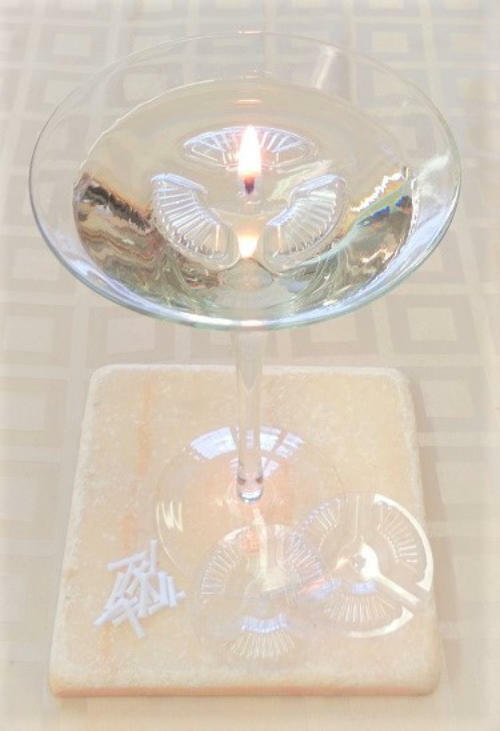 Cut the base of the foil holder and push a taper candle through to create a drip protector for carrying candles. Soy wax. Unscented. Approx Burn Time 5 hours. Clear polycarbonate cup. 39.5mm x 19mm deep. 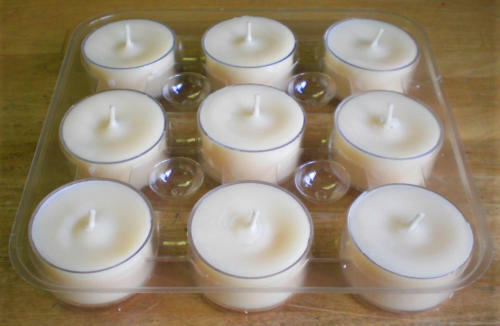 Item # Price PER TRAY @6 TRAYS @12 TRAYS SOYTEA $7.65 ($0.85ea) $7.20/TRAY $6.84/TRAY *9 candles per tray. Plastic display tray included. Blend of pure Beeswax & Soy wax. Unscented. Approx Burn Time 5 hours. Clear polycarbonate cup. 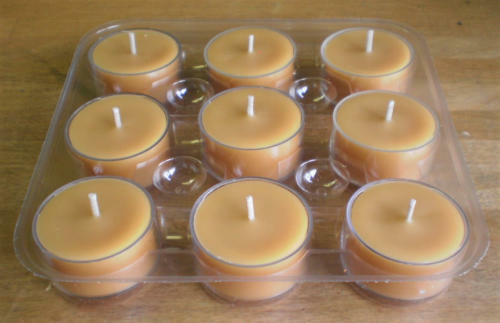 Item # Price PER TRAY @6 TRAYS @12 TRAYS BST $8.46 ($0.94ea) $8.01/TRAY $7.56/TRAY *9 candles per tray. Plastic display tray included. Item # Burn Time Price 5180 15 Hours $1.50/pkg 12 per package. Red Votives (Spice scent, very light). 1.5” dia x 1.75” tall. Package of 12. Must burn inside container. Pour water into a glass container and add ½” of fractionated coconut oil (clear), pure corn oil, blended vegetable oil, or olive oil on top. Disc floats on top using the vegetable oil as fuel for the wick. 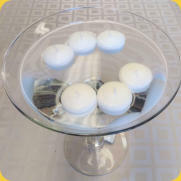 Item #1130 Price $3.99 Contains 3 floating candle discs & 15 wicks. 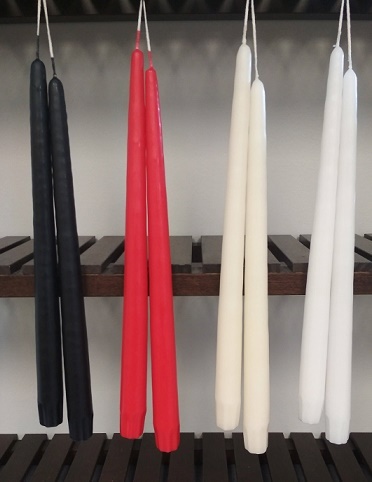 1.75" Floating Candles Red or Black - Unscented. White Unscented Votives. 1.5” dia x 1.5” tall. 24hr Votives in Clear Cups. White & Unscented. Polycarbonate cups 2"dia x 2.5" tall. Shade & colour may vary in each box. 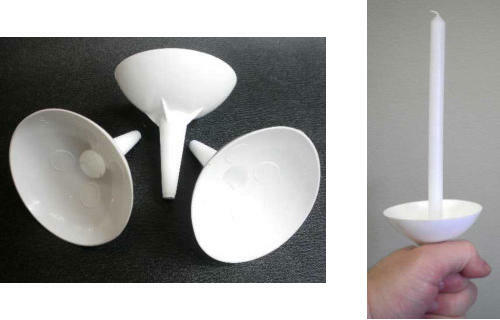 Plastic cup with handle holds candles up to 1/2” diameter. 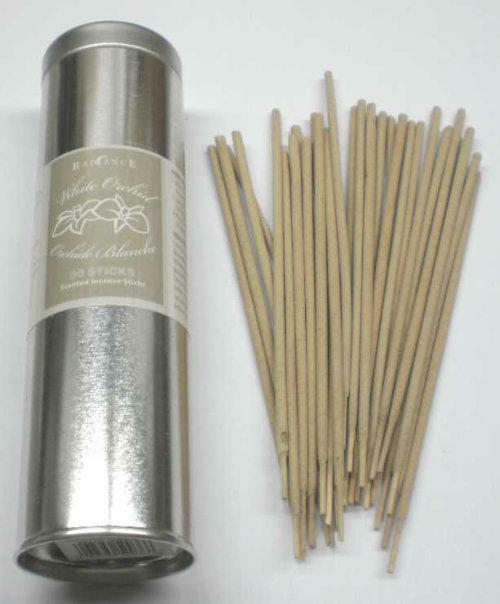 5” incense sticks, White Orchid fragrance 30pcs per package. Soy wax. Unscented. Approx Burn Time 5 hours. Clear polycarbonate cup. Blend of pure Beeswax & Soy wax. Unscented. Approx Burn Time 5 hours. 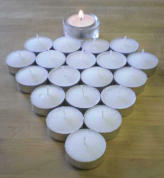 1.75" Floating Candles White or Ivory- Unscented.